A Bat survey may be requested by local planning authorities to determine the effect of potential developments and the information gained from these will be used to design any mitigation or compensation schemes. There are 18 species of bats in the UK, of which 17 are known to breed here. Four of these species, lesser horseshoe, greater horseshoe, barbastelle and Bechstein’s bats, are considered our rarest bat species. Their presence may require notification of designated sites as they are listed on Annex II of The Conservation of Habitats and Species Regulations. 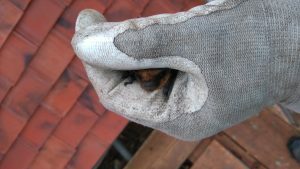 Our most commonly encountered bat species for housing developments are the tiny common and soprano pipistrelle, and the aptly named brown long-eared bat. Bats roost in a variety of places depending on the species and times of year. These include trees, buildings, bridges, caves and mines. Bats hibernate during the winter which is considered to be between November and April. Bats slow their metabolism and go into torpor and come out of hibernation when the temperatures increase again. The time period between May and August is the maternity season for bats. During this time females will congregate to have their young (usually a single offspring per year). At these times bats are very sensitive to disturbance and work which are likely to encounter either hibernating or maternity colonies of bats should be avoided. All species of bat receive stringent legal protection under The Conservation of Habitats and Species Regulations 2010 and the Wildlife and Countryside Act 1981 (as amended). This substantial level of protection means that bat surveys must be undertaken and appropriate mitigation measures agreed before any development can be permitted that would result in disturbance or injury to bats or damage to their roosts. Click here to read about bat licensing and mitigation. The first stage of surveying requires an initial inspection of trees, buildings or other structures, such as bridges, that will be impacted by the development. 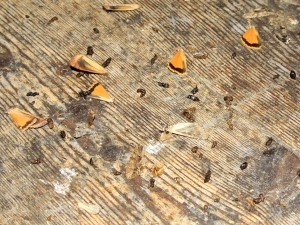 The inspection involves a detailed search for evidence of bats in the form of bats themselves, droppings or feeding remains. The structure is also assessed for its potential to support roosting bats on a sliding scale of low to high potential. If the phase 1 bat survey indicates evidence of bats, or the structure is assessed as holding potential to support bats then phase 2 surveys will be required. These are conducted in accordance with the Bat Conservation Trust Good Practice Guidelines (Collins 2016). These surveys must be undertaken between May and September and when the weather conditions are suitable. If a structure is assessed as holding low potential one dusk or dawn bat survey is required. If assessed as holding medium potential one dusk and dawn survey are required. Alternatively if deemed to be holding high potential two dusk and one dawn survey are required. Phase 2 emergence/re-entry surveys are recommended to be at least 2 weeks apart whenever possible. This ensures that the differing requirements of the bats throughout the summer are considered fully. Tree climbing surveys (aerial inspection surveys) allow a closer view of any potential roosting features. This type of survey may negate the need for a costly dusk/dawn emergence survey. This can be carried out at any time of the year potentially reducing delays to your project imposed by phase 2 survey timing constraints. Lindsay Carrington Ecological Services have a licensed and trained tree climber and experienced ecologists to undertake ground and aerial tree inspections for bats. Where a high level of impact is considered to be likely on a site (usually large scale developments) a combination of mist netting, harp trapping and radio-tracking surveys may be required. These surveys require an increased survey effort compared to any other survey type, with specialist licensed and experienced bat ecologists.